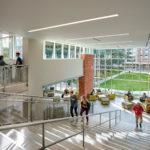 An inviting light filled stair, with lounge space overlooking the residential quad, reengages the formerly isolated second floor dining into a cohesive experience. 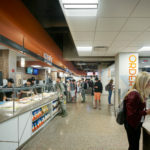 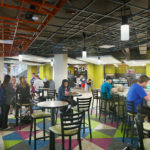 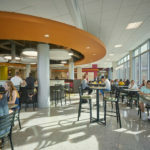 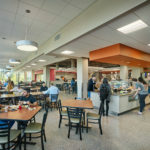 The visual connection between the levels integrates a variety of completely new dining venues on both floors. 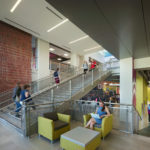 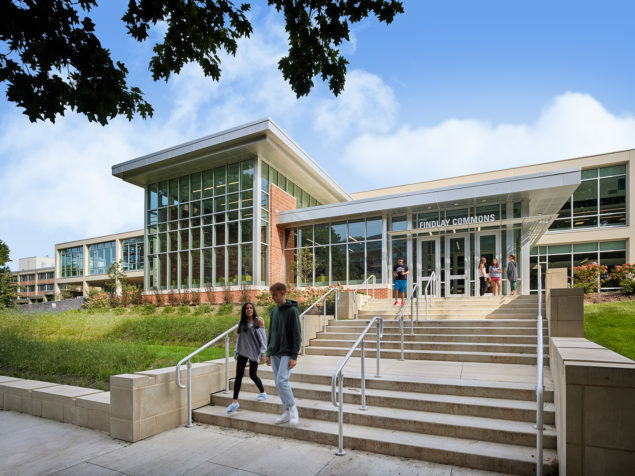 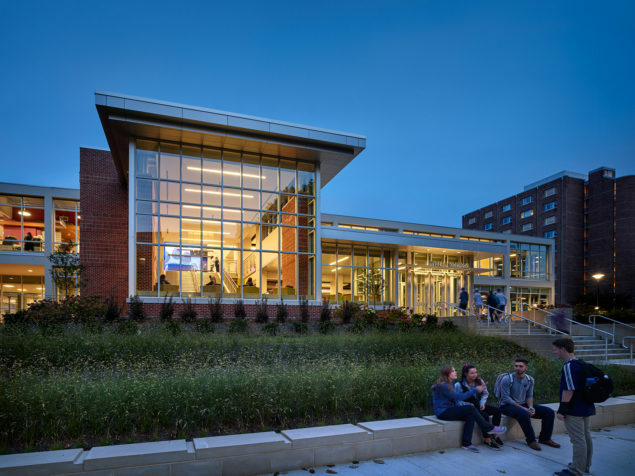 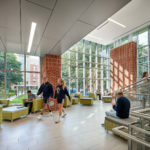 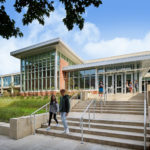 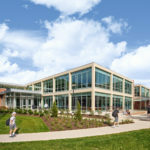 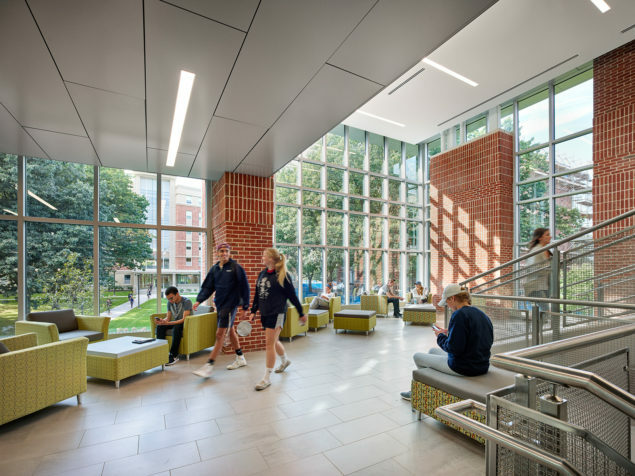 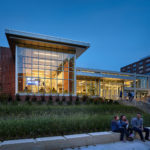 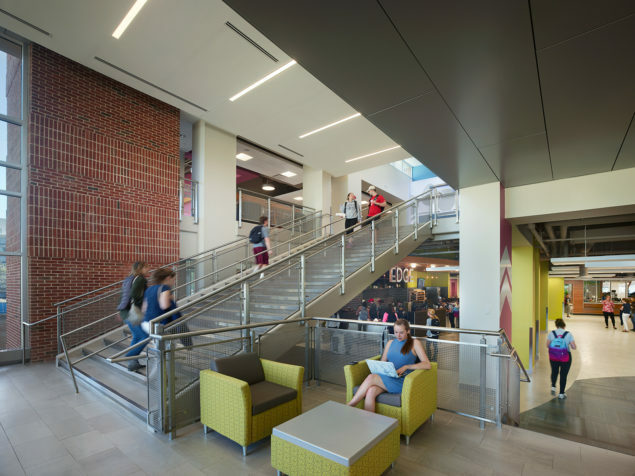 The two-story addition creates a dramatic new entry welcoming students from the quad. 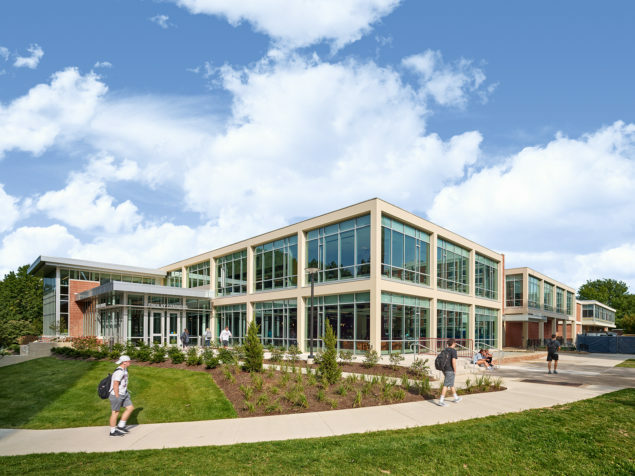 The exterior was completely updated, enhancing views to and from the surrounding campus while improving energy efficiency. 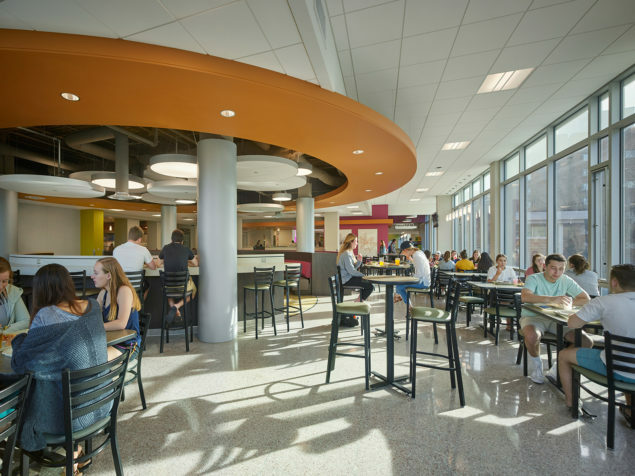 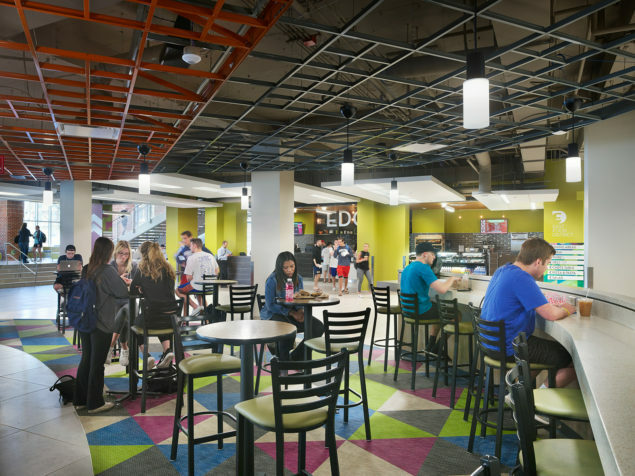 On the second floor, there is a choice of all-you-care-to-eat and retail dining options. 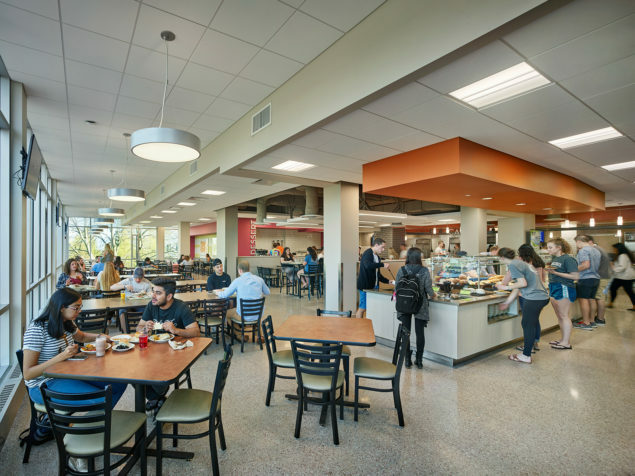 Venues include a sushi bar, soup/salad bar, a deli, lunch/dinner buffet, and allergen-free/kosher stations. 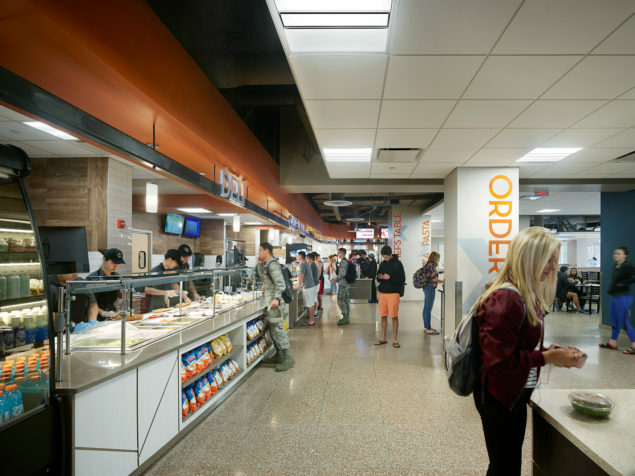 The first floor includes a new C-store; coffee shop, and grill, open for breakfast, lunch, and dinner. 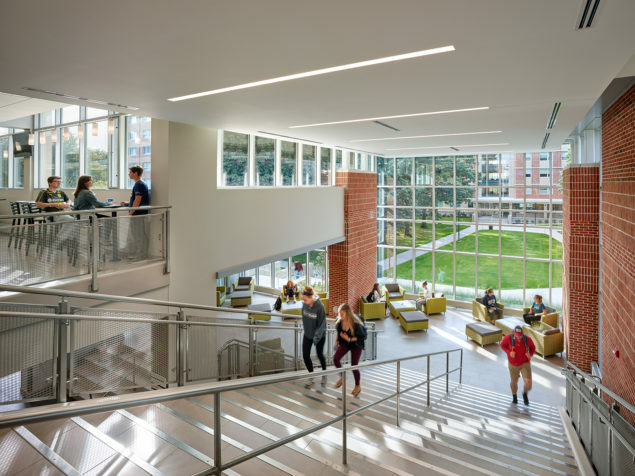 This complex total renovation was phased to enable continuous operation during construction as a design-build project with Turner Construction.